How would you define an aesthetically pleasing bodybuilding physique? Today it seems as though it’s all about muscle mass instead of the chiselled, uniform look of days gone by. In our opinion, we prefer the latter. 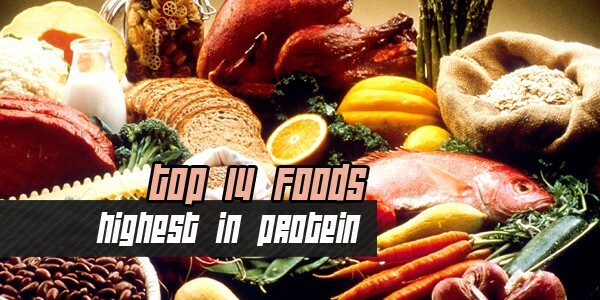 A finely sculpted physique looks better and serves as a testament to how hard the individual has worked. An aesthetically pleasing physique is about more than popping in pills and doing a few exercises. It is about commitment and integrity. Here are our top seven most aesthetically pleasing bodybuilder physiques of all time. You may not agree, but we hope you do. Kenneth ‘Flex’ Wheeler is a four-time Arnold Classic winner and, according to Arnold Schwarzenegger, one of the greatest bodybuilders he has ever seen. Wheeler’s four Arnold Classic wins is a record enhanced by wins at the French Grand Prix, South Beach Pro invitational, and a handful of others. Wheeler’s nickname during his competitive years was the ‘Sultan of Symmetry’. It’s easy to see why from photographs taken during his peak. Unfortunately, Wheeler never won Mr Olympia prior to retiring in 2001. Frank ‘the Chemist’ Zane practised bodybuilding back in the early days of aesthetic focus. He was one of the pioneers of preferring aesthetic appeal to sheer mass – something that’s easily recognised from his competition photos. His emphasis on aesthetics made him a three-time winner of the Mr Olympia competition in 1977, 1978, and 1979. In his prime Zane boasted 19-inch arms and a 28-inch waist on a frame that was no more than 5’9″. His relatively small stature emphasised his sculptured, well-chiselled look. Zane retired from competition in 1993. Despite Brian Buchanan having one of the best V-shaped physiques in bodybuilding history, he was not as popular as most of the others in his class due to his small legs and 27-inch waist. Nonetheless, his physique is still fairly impressive to those who enjoy a proportional and solid look. It is too bad Buchanan never won Mr Olympia for his efforts. Maryland-born Kevin Levrone won his first organised competition in 1990 at just 190 pounds. Two years later, he came in second at the 1992 Mr Olympia competition; a feat he repeated in 1995, 2000, and 2002. The main criticism of Levrone is the fact that he never won Mr Olympia due to a lack of upper back density and hamstring thickness. Levrone never officially announced his retirement, but he has not competed in quite a few years. He now focuses on a couple of fitness-related businesses and his part-time acting career. If he is remembered for anything, it’s a workout style that was very similar to Arnold Schwarzenegger’s. Australian Lee Priest got his start as a bodybuilder at the age of 12, thanks to the support of his mother and grandfather. His first competitive win came at age 13 followed by Mr Australia wins at 17, 18, and 19 years of age. He was also the youngest to go pro when the IFBB awarded the 20-year-old Priest his competition card. Priest is most known as the bodybuilder who got close. Throughout his entire career, he was very adept at finishing second or third without ever managing to win Mr Olympia or the Iron Man Pro. He finally did manage to win Ironman Pro in 2010. His height (5’4″) and relatively short arms (22″) may have been two of the factors that hurt him in competition. When you look at pictures of Shawn Ray during his peak, it is hard to believe he only placed in the top five once in more than 30 major competitions he entered. Ray clearly worked work hard to sculpt his rather impressive physique into a look very few others managed to pull off. 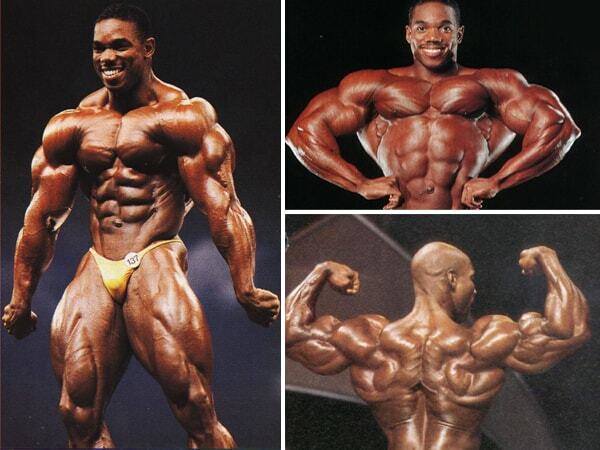 If there is one thing you can say about Shawn Ray, it is that he paid attention to proportion. 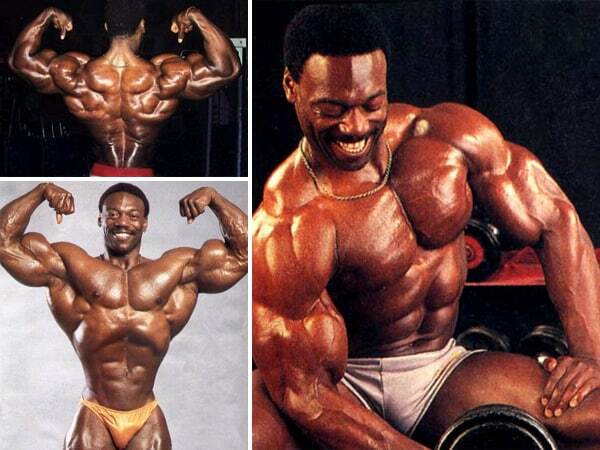 Ray did pull off a win at the Arnold Classic in 1990, but it was a win forever tainted by a failed drug test. He went on to win the Classic the following year as well. Ounce-for-ounce it’s hard to be more aesthetically pleasing than French bodybuilder Serge Nubret. Also known as the ‘Black Panther’, Nubret discovered his penchant for athletics as a young man studying in France on a scholarship. When he returned to his native Guadalupe as a young adult, he dedicated himself to bodybuilding as his ‘reason for being’. Nubret seemed to have a natural talent for sculpting and shaping, a quality that earned him the 1960 World’s Most Muscular Man in Montreal title. Though he never won the Mr Olympia, he did place in the top three in 1972, 1973, and 1975. Nubret died in Paris in 2011, at age 79. So there you have it, our top seven most aesthetically pleasing bodybuilder physiques of all time. You may have your own preferences, and that’s fine. What makes the world of bodybuilding so exciting is the fact that there are so many different physiques and training styles. Who knows, perhaps others will come around in a couple of years capable of knocking one of our seven off the list. How do you leave Steve Reeves off of this group. He was arguably the most handsome bodybuilder of all time along with the most esthetically appealing physique. Also Bob Paris who was often compared to Reeves. Another bodybuilder from the 60’s was Jim Haislop who could pull off Reeve’s signature overhead pose. Charles Clairmonte is also one to consider. Sergio Oliva. He had both mass AND aesthetics. Muscle thickness that very few could match as well as symetry. How in the heck did you leave Sergio Oliva out!!?? He should have topped this list. Lee Priest and Shawn Ray more aesthetic than Lee Haney ?